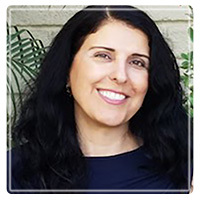 Newport Beach Therapist: Simina Eshtehardi - Therapist 92660. Send A Message To Simina. Dr. Simina has been involved in the field of psychology and self-development trainings for the past three decades. She obtained her doctorate degree in the Clinical Somatic Psychology at the Chicago School of Professional Psychology. She brings this training, years of energy healing work, and teaching art to her practice with her clients. What is Somatic Psychotherapy and how can my Somatic therapist help me? Somatic psychotherapy is a holistic approach that addresses our senses, thoughts, feelings, and behaviors. We all have bodies and to acknowledge our thoughts and feelings without awareness of our senses is only addressing half of our existence. Dr. Simina can help you get in touch with your physical senses to release your unwanted thoughts and feelings and teach you to utilize your body’s wisdom; to make positive choices over conditioned old habits of thinking, feeling, and automatic behavior. Ultimately, the point is for you to experience a sense of freedom and emotional peace from the past psychological unresolved issues.